My husband and I celebrate everything (little or big). And to mark the occasion we generally get a bottle of bubbly. For almost 13 years we’ve been saving corks from our bottles. 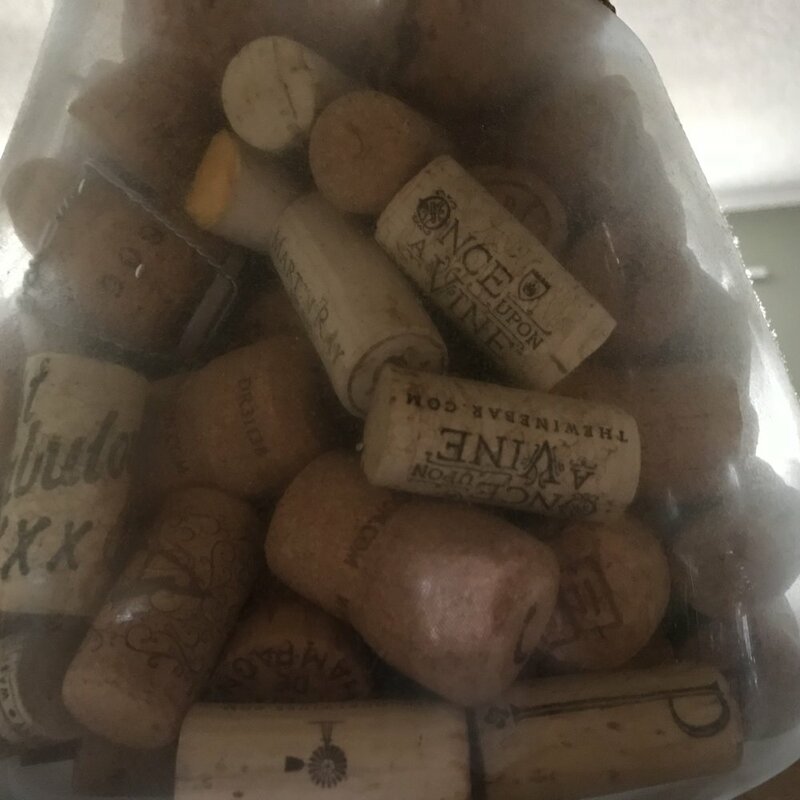 I’ve carried corks home from vacations, events and family gatherings. Yes, I’m the one watching where the cork flew so I can pick it up (#embarrassing). I do it because each cork represents a positive memory and, in a way, provides comfort. Who wouldn’t want to be reminded of every happy occasion or moment of celebration that they’ve had? Most of all the corks remind me that I have A LOT to be thankful for. As you can see we've had a good amount of celebrations. We’ve marked some of our favorite corks with dates as they tell a story for a specific time in our lives. I love that we’ve incorporated the corks into our home as they are a daily reminder of everything we've accomplished. Plus, it was fun shopping for what we would put them in. We found our decorative vases at Pier 1. Pro Tip: If you’re looking for the perfect gift for a co-worker or business acquaintance consider a cork keepsake box. They have single cork boxes and customizable boxes. I didn’t come up with the idea to collect corks on my own. For as long as I can remember my dad is a has collected corks. I always like the notion behind it. The champagne glass cork holder is my dads. Talk about #corkgoals. One of my favorite corks in his collection is from a long weekend trip that we took. We had a five-hour car ride full of good conversation followed by a much-deserved glass of champagne to kick off the weekend. We drank the champagne out of coffee mugs. Even though the moment was simple, it is one of my favorite memories. I guess that’s why I love the corks – they transport me back to a special moment. And they constantly remind me of all the times spent with family and friends. What is your "cork"? Do you have it somewhere so you can be reminded of the reasons you love it? Keeping positive reminders from successes, events and good times can do so much good especially when you need it most.